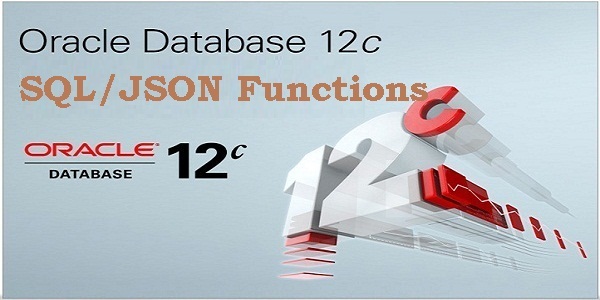 Oracle introduces SQL/JSON functions in Oracle Database 12c Release 2 (12.2). This guide will walk you through the basic examples of the SQL/JSON functions and how they works. The examples mentioned in this article use the following tables. The JSON_OBJECT function converts a comma-separated list of key-value pairs into object members within a JSON object. The JSON_OBJECTAGG aggregate function creates a single JSON object containing a list of object members formed by aggregating a key-value pair from each row. The JSON_ARRAY function converts a comma-separated list of expressions into a JSON array of JSON values. The JSON_ARRAYAGG aggregate function, similar to the LISTAGG function, aggregates an expression from each row into a single JSON array. Each function call can itself be an expression, so they can easily be combined to create complex JSON objects. If we run this through a JSON Formatter, we can see the structure better. All of the SQL/JSON functions have the ability determine how null values are handled. The default is NULL ON NULL, but this can be altered to ABSENT ON NULL. -- Explicit NULL ON NULL. The SQL/JSON functions can optionally include a RETURNING clause to specify how the value is returned. All are capable of returning a VARCHAR2 value of varying size specified using either BYTE or CHAR. All except the JSON_OBJECT function can optionally return their output in CLOB format. The documentation states the default return type is VARCHAR2(4000). The FORMAT JSON clause is optional and is provided for "semantic clarity". I don't understand what this means, but it does seem to have an effect on quoting. -- Default. The job is quoted. -- Explicit FORMAT JSON. Notice lack of quotes on job. The SQL/JSON functions don't accept numeric as keys. If you need to force their use, simply use the TO_CHAR function to convert them to strings.